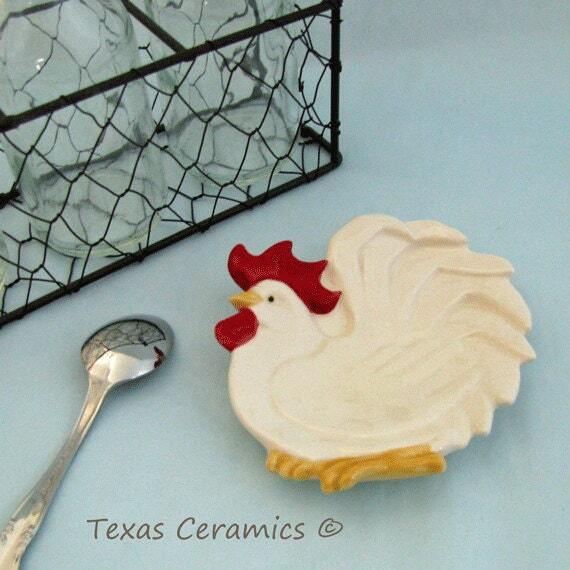 This ceramic white rooster can be used as a tea bag holder or small spoon rest and perfect for any occasion. 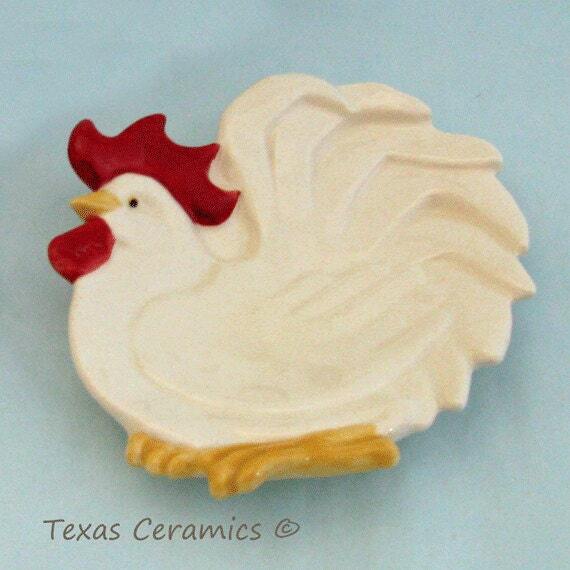 The ceramic chicken is great for confined areas or for the minimalist. 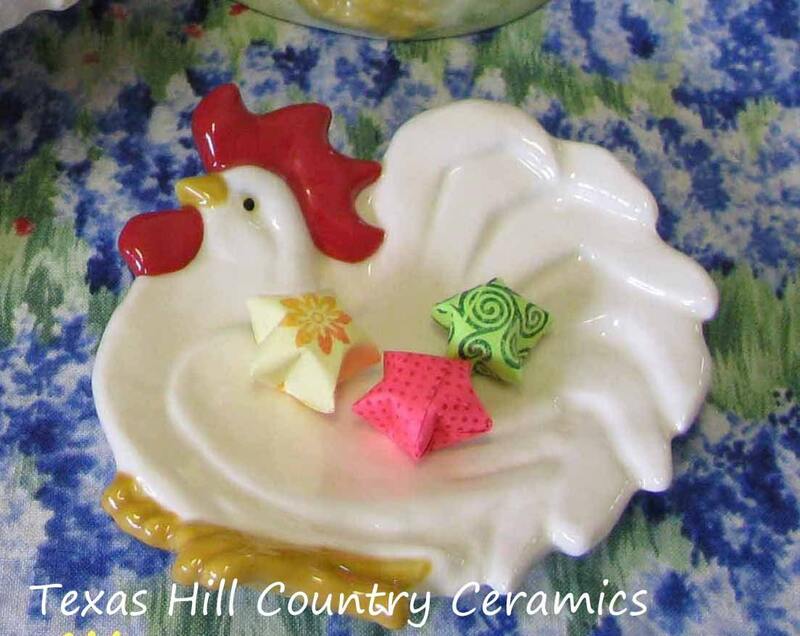 This chicken or rooster is not limited to used tea bags, use it as a tableware accent to hold food, cookies or lemon slices or even sugar cubes. The white rooster measures about 4 inches in diameter. 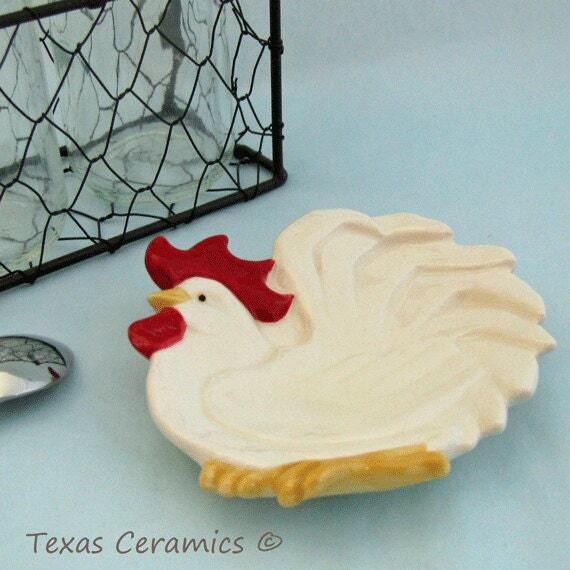 A great addition to an existing chicken or rooster collection! I have been making tea bag holders since 2004 and offer a wide selection of styles. This rooster tea rest is made of slip that is cast from a ceramic mold, all ceramics from my studio are kiln fired a minimum of 2 times. 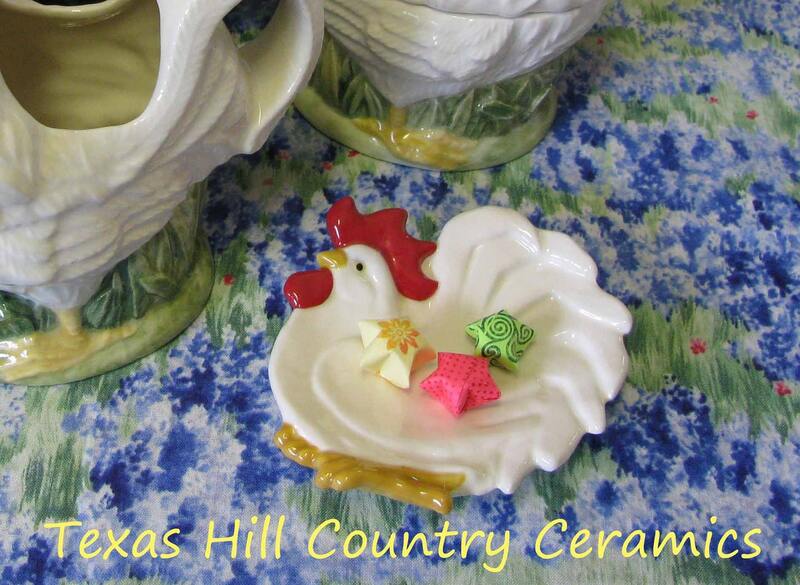 Non-Toxic underglazes and glaze is used to finish the rooster so it is dishwasher and food safe. The colors or design will never wash off, fade or peel. Not only does it make a great spoon rest or tea bag holder, it can also be used to hold rings, earrings or jewelry, cuff links or tie tacks, coins or change, desk accessory for paper clips, tacks, staples, etc., keys, mini soap bars, candy, coffee pods, dish scrubber, vegetable brush, sewing items (needles, pins, buttons, etc.,) pet treats or daily medication, incense, small candles (tea lites) dinnerware place setting accents, wall decorations, Gift Baskets, the uses are unlimited.